Chasteberry Plus (Vitex agnus-castus) is the fruit of the chaste tree. It’s often referred to as “the women’s herb,” because it seems to affect many hormones that regulate women’s reproductive cycles. 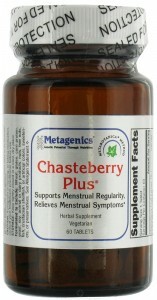 Chasteberry Plus also incorporates black cohosh. Together they are used to maintain regular menstrual and reproductive health in women throughout their childbearing years. It also provides Ashwagandha, an Ayurvedic herb traditionally used to support health aging and libido. 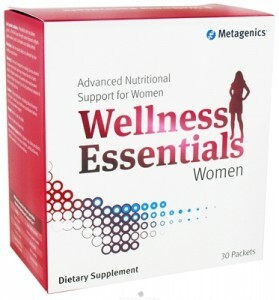 Advanced Nutritional Support for Women – Targeted Support for Women’s Health. Enhance your heart health, bone health, and overall wellness daily. It is formulated to pin down your unique nutritional needs to help you stay active and vital and maintain overall health. 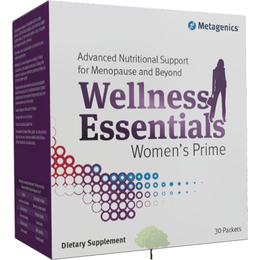 Advanced Nutritional Support for Menopause and Beyond - Beginning in early menopause, your body needs extra support for energy metabolism, heart health, and bone health. It is similar to Women’s, but also contains Ostera. It’s a supplement that promotes health bone remodeling biomarkers to support bone quality and integrity. Multivitamins for pregnancy are available upon request. *Purchase any supplements mentioned at Burtis Chiropractic Center during the month of May at a 10% discount.